Falcon Age, from Outerloop Games sends you on a single-player adventure where you play as Ara as they bond with a baby falcon and work to escape from a colonizer prison. You can play Falcon Age with or without PSVR and you can use the PS Move Motion controllers or the DualShock 4. Table of Tales is inspired by tabletop RPGs and the table itself acts as a pop-up book, with different chapters for each adventure. The team at Tin Man Games notes that there are single-player and multiplayer modes available, giving the game more longevity. This one will be out soon. Jupiter and Mars comes to you from Tigertron and focuses on exploring the ocean as two dolphins — Jupiter and Mars. Since we aren’t getting a new Echo the Dolphin game anytime soon, this will have to hold us over. You can play Jupiter and Mars in VR or without — either way, your goal is to rescue wildlife and meet interesting creatures throughout your journey. One of the more exciting games shown during PlayStation’s State of Play was Everybody’s Golf VR, which now has an official release date. 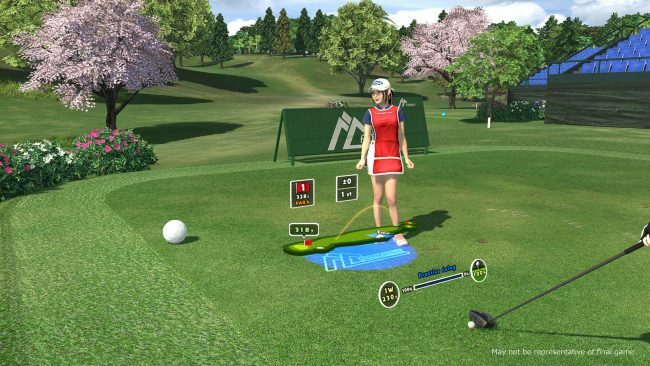 Playing Everybody’s Golf in complete 360 degree VR will make it tough to put down…probably. In Trover Saves the Universe, you’ll be tasked with rescuing your dogs from a “beaked lunatic named Glorkon”. This comes from the co-creator of the Rick and Morty series and looks like a lighthearted and fun time. Mini-Mech Mayhem is yet another tabletop experience and has an emphasis on mechs and destruction, as well as a vibrant art style. This one comes to you from FuturLab, best known for the Velocity games. Finally, we got a release date for Vacation Simulator, the next adventure from Owlchemy Labs. In the same vein as Job Simulator, with a focus on wacky ways to complete tasks. Humor seems like it will be at the forefront with this one and we’re looking forward to it. That’s not all that was announced during PlayStation’s State of Play. We saw a ton of announcements, detailing new PSVR releases for this year.